With the continuous crashes in global oil prices, experts are projecting a long, hard road for Canada’s economic growth notwithstanding the remarkable expansion in some regions. The Bank of Nova Scotia predicted a scant 1.1 per cent growth rate for this year, with National Bank Financial expecting a dismal 0.9 per cent and Capital Economics an even worse 0.7 per cent. 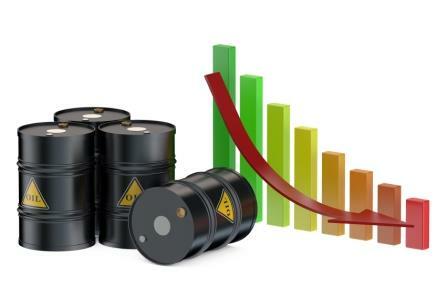 These forecasts fell in line with the Conference Board of Canada’s statement on Thursday (February 4) that the petro-centric economy isn’t set to recover significantly anytime soon. The Board, however, offered a slightly more optimistic projected growth rate of 1.7 per cent. Observers said that the oil shock has weakened the Canadian dollar to record levels, affecting domestic purchasing power across all sectors and industries. This, despite several regions—namely, British Columbia, Manitoba, Ontario, and Quebec—actually exhibiting better economic activity and growth than average. “Even with a turnaround as the year progresses – based upon expectations of stronger U.S. demand, renewed stabilization in commodity markets and increased fiscal stimulus – Canada’s output growth will be hard pressed to average just 1.1 per cent in 2016,” Bank of Nova Scotia deputy chief economist Aron Gampel told The Globe and Mail. Scotiabank officials added that the last time Canada has seen stellar performance was in 2013, when it lead all G7 countries in terms of growth. In stark contrast, 2016 might see Canada ending up as the G7 bottom feeder, compared to projected 1.3 per cent growth in France, 1.8 per cent in Germany, 2 per cent in the United Kingdom, and 2.2 per cent in the United States.